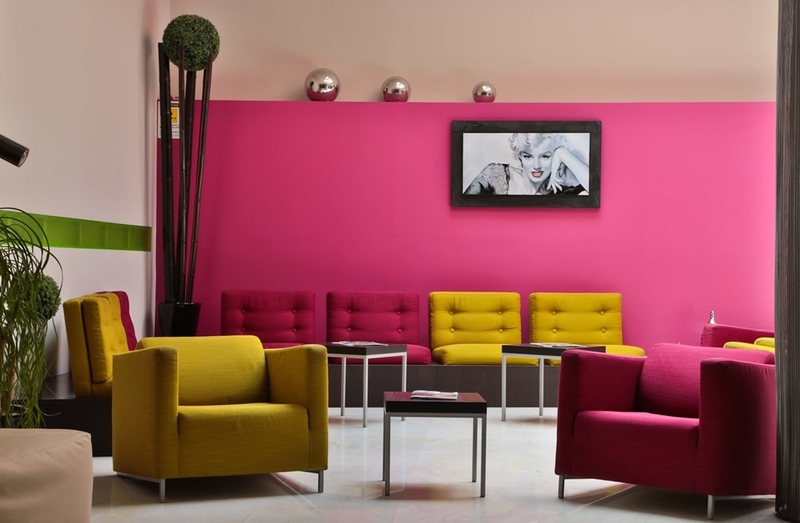 The Best Western Cinemusic Hotel is ideally located in the center of Rome. Come and experience our hotel near the major tourist attractions. Best price guaranteed and exclusive deals. 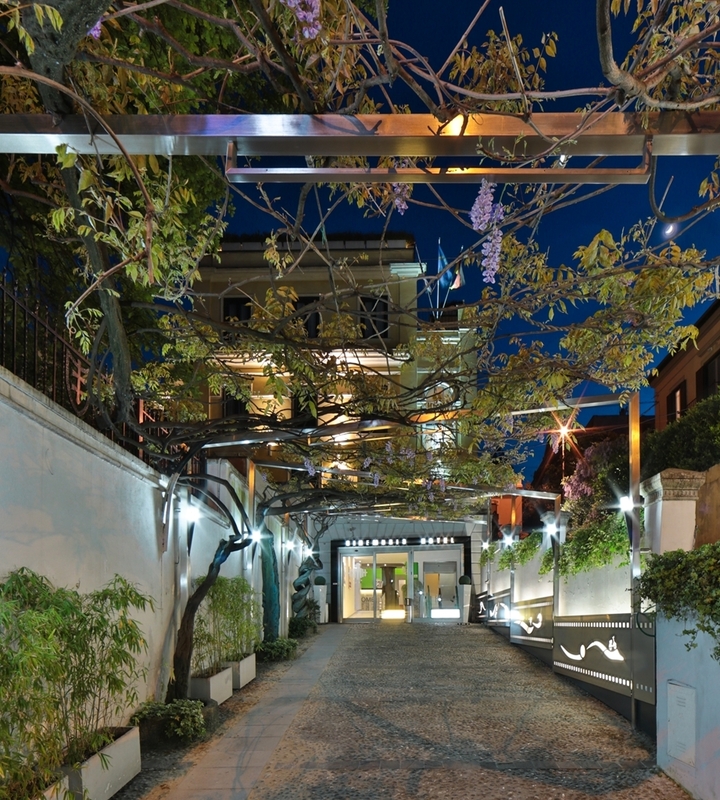 The Best Western Cinemusic Hotel, located in San Giovanni, one of the oldest districts in Rome, not far from the Basilica of St. John Lateran, the Colosseum and Piazza Re di Roma, is a charming palace of the early '900 environments characterized by sophistication in the heart of the capital city of Rome. Thanks to its proximity to Metro King of Rome and Tuscolana Station from Cinemusic Hotel you can easily reach all the most famous places of Rome, the airports and the Fair of Rome. 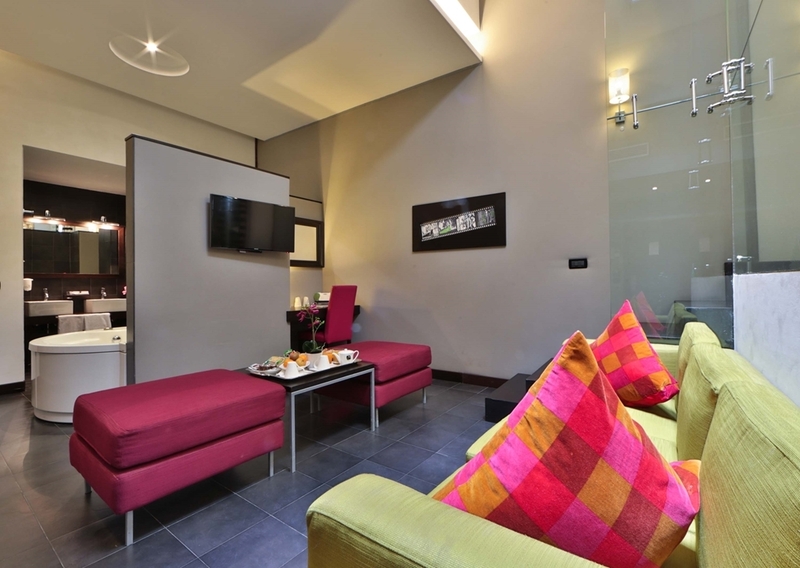 The contemporary style, the elegant atmosphere, the functional and efficient spaces, the professionalism of the staff, a roof-garden with an hot tub, a solarium, an Internet point and free Wi-fi make this 4 star an innovative and comfortable hotel in Rome. Enjoy your stay! The staff are very helpful and friendly especially with direction queries. Hotel is in a good location, a 15 minute walk to Colesseum and 5 minute walk from metro and train stations. Rooms are a good size and clean, choice of mini bar and vending machine for snacking. Breakfast was an add on of €5 a day, which was a good choice of food and helpful lady with the option to sit on the rooftop garden area, great sun trap. It was disappointing that the Jaccuzi area was closed in April. "Good hotel for one night stay!" I have stayed just one night here but it was very enjoyable. The room has all the amenities you need with safe, minibar, slippers, hair dryer. Wifi worked well. Front desk reception was very helpful in asking for taxi or keeping my luggage after check-out! From fumicino airport it's about 40 minutes on the train. Taxis in Italy are very expensive but the public transport is cheap. We didn't book transfers. Just got on the train at the airport €8 and 9 stops later the hotel is about a 6 minute walk from Roma tuscolana station. Taxis were around €45 and it's a 35 minute drive. So the train was an obvious choice. The hotel was pleasant, clean and the staff were friendly. The room was an okay size for 2 and it was nice to have an English tv channel that wasn't just the news! The staff on the front desk were really friendly and helpful on getting around. It's in a good location, 5 minutes up the road there are shops, restaurants, cafes and bars. There is also a supermarket local. The colloseum was around 25 minute walk but it was really pleasant walk past San giovanni. The metro station is 5 minutes away (Ri de Roma). €1.50 Will get you one metro ride and up to 90 minutes travel on public transport, you can also buy day passes. About 4 stops away to the pantheon, trevvi fountain and Spanish steps. The Vatican was €1 on the train from tuscolona and 4 stops away. Breakfast at the hotel was a standard buffet. Nothing special but for €5 pp It's good enough! We were saddened that the jacuzzi is not open until the summer. So we did not get to enjoy this aspect of the hotel. All in all, the hotel was a good base for seeing the sights! Good location, helpful staff, no frills but clean and pleasant enough! We stayed here for 3 nights in November. I wouldn't recommend getting the shuttle bus from the airport as it took us nearly 2 hours to get to our hotel due to drop offs. By taxi it takes about 30 minutes and should cost no more than €30. The rooms were nice and clean but very small - we had asked for a room with separate beds but may as well have had a double bed because the beds were pushed together due to the size of the room (I did manage to push them apart a little bit). The walk in shower has no door, so it's not very private, this wasn't a huge issue for us though. We only had breakfast in the hotel once as we had early trips booked and it doesn't start til 8am. If you ask at reception, they will do you a breakfast in a bag to take away with you. I would recommend checking the bag before you leave, as one of our breakfasts consisted of 3 drinks and 1 yogurt with no spoon. Apart from that, the breakfast was fairly good. The majority of staff were helpful. Please note that they will not pre-book taxis unless it's to the airport. We tried to book a taxi the night before one of our trips as we weren't yet familiar with the metro and one man on reception said they were unable to. It's a 5 minute walk to the nearest metro, which is handy. There are also a few shops nearby. I would recommend going to ‘ice dream factory', which is within walking distance - they do the best gelato! We didn't find anywhere nearby to eat, so ended up using the metro every night - we found that everything was quite spaced out. We also didn't get to use the roof top jacuzzi due to the weather as it's not heated, so it wasn't open. Overall, it wasn't a bad experience but it wasn't great either. "This hotel is a GEM not far from the center. Loved it and Alessando at the front desk was very helpful." This Best Western is a great value for the money , extremely well run property with good strong wifi and very helpful and caring staff. Easy access to the subway that is not far away, and many coffee shops and restaurants nearby. Only tiny tiny complaint is that the staff at breakfast should watch out for replenishing the food when it runs out so guests can find all items well stocked when they arrive. Highly recommend this property and we will be going back in spring. "Very Good Base for Rome"
Good hotel, lovely breakfast for 5 euro , staff very helpful. Short walk to the tube or train stations , caught the local train to the airport as much cheaper than the express train. Rooms big with a balcony. No bar or evening entertainment though. "Nice hotel in quite area"
This hotel is set in very quite area which was a plus. We were going to get taxi to visit landmarks but staff suggested getting metro,(metro was a 5 min walk from hotel) we were a bit wary of doing this, however was the best thing we done! we got a three day ticket costing just 18 euros, and used it every day and evening! well worth it! Vatican, Spanish steps, Trevi fountain are all on same metro line! very easy to get to all of them, and did not have the hassle of the traffic on roads! We walked to colleseum, was a lovely walk passing city wall and st. johns basilica (well worth going in, is stunning inside and free to enter). Hotel staff all very helpful and friendly. Although bar not manned as another post mentioned, you only had to ask person on reception and they would happily arrange your drinks for you (to be served wherever you wanted) we also asked for coffees, which they arranged for us. Just ask and the staff are happy to help. Rooms were lovely and clean and modern. 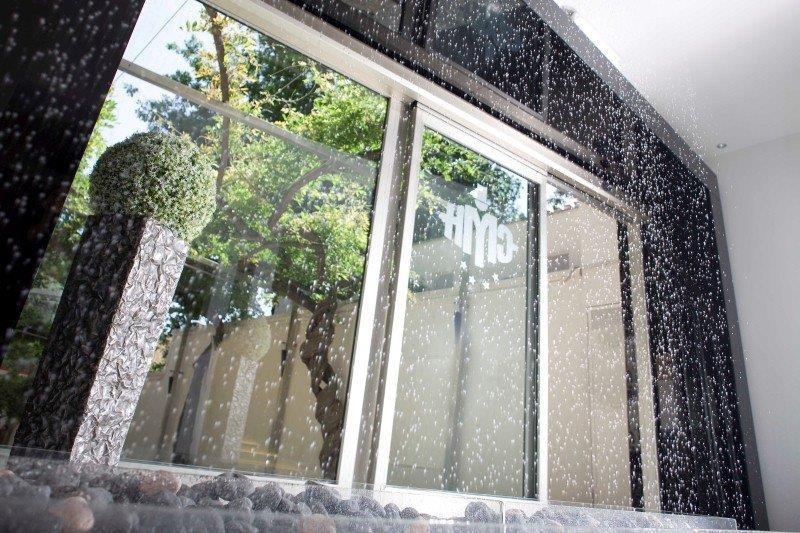 The only negative we have is that there was no door or curtain on shower, many people want a bit of privacy when showering! would be nice if a shower curtain was put in?? Also the toilet doors were sliding doors and did not meet in the middle, so again privacy was an issue! (room 104). Breakfast had good selection of food and drinks. We had a lovely stay. Clean, close to the Metro for travel. Beds were good no wash cloths. Big breakfast on 3rd floor. Could have better lighting. Very helpfull day man. Room quite small. TV only has 2 channel with English.Not very close to a lot of things always has to take the Metro. "Disabled accessible rooms aren't accessible." Firstly, I'd like to say what a wonderful hotel this is with staff who are so lovely and always willing to help. The beds are of a good standard with nice linen and good pillows. 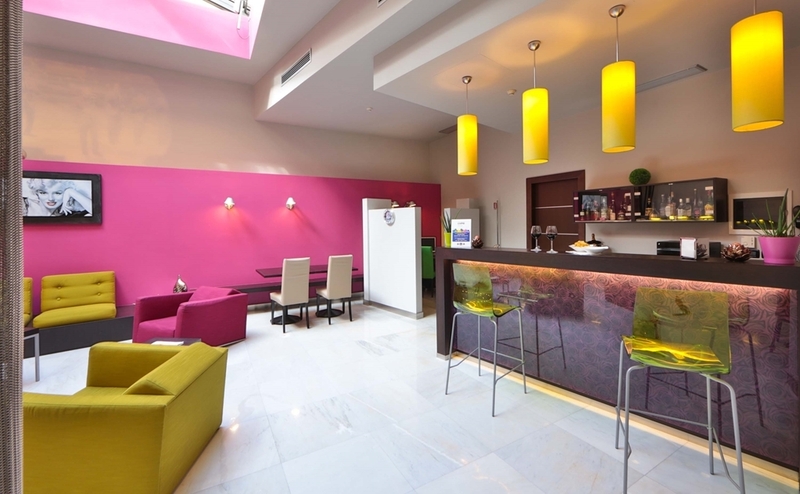 The hotel has a good modern feel and is near to the metro station making it just a short distance away from all the amazing local attractions Rome has to offer. Myself and friends stayed at this hotel to celebrate my 50th birthday.... it's a birthday I'll remember for always - AMAZING. Now for the not so good part if you're a disabled traveller looking for a good place to stay in Rome. The pictures online and in brochures are very deceiving, creating the image of an airy large room, as a wheelchair user with very limited mobility the hotel was an important part of my stay so we were pleased to find that their were accessible rooms at this hotel. When we arrived, getting into my room was extremely difficult. My hand and knuckles were grazed from having to maneuver through the entrance, I managed to pass the bathroom which was immediately to my left upon opening the door, and once past there, that was as far as I was able to go. I could move freely around the room, I could move at all!!!!!! Fortunately my husband was with me who was able to help me onto the bed and get what I needed. I had no independence in that room at all. The bathroom wasn't bad though, my chair could I fact fit in there and there were hand rails and an accessible sink and mirror and high toilet. We did request a larger room and the staff did show us another but it was just the same. We saw a room whilst maids were cleaning that was a little larger and requested this room from the staff who suggested that we could have the room IF our friends exchanged their room and used the accessible one we were in which also wasn't an option because we wet the prepared to disrupt others just to suit ourselves, so we had to make do. I wish I'd had the chance to read a review from a disabled traveller using this hotel so I do hope it helps others reading this. The ‘pool' that is advertised is not a pool at all. It's a jacuzzi, which is nice if that's what you want but if you're hoping for a swim this is not the place to be. 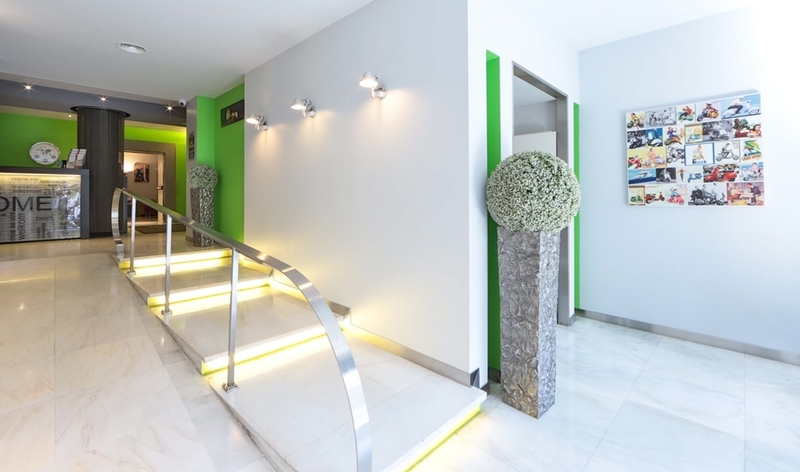 On the whole.... a compact lovely hotel that is clean, polite, cheerful and in a great position to go sightseeing, just be aware that that for wheelchair users or those of a very limited mobility that in this case “size does matter”! Size is something these rooms don't have. Great hotel. Receptionist was friendly and gave us tips for Rome on a map. Room was fab, clean. Very quiet hotel. Seen one other guest the whole weekend. Hotel is confidently near Metro, out the way of hustle of centre. Lovely hotel. "Good except for bad experience on check out"
Grand location, pretty quiet as it was December and probably a bit off season - felt like we had the place to ourselves! We were barely there to be honest so it was mostly just a bed to sleep in at night. The first 2 days we had a lovely guy on reception, super helpful and friendly. Unfortunately on the day we checked out we had a very bad experience. We decided to have breakfast at the hotel only on the last morning of our stay for a fiver each - it was a pretty terrible breakfast but that wasn't really a big problem - it happens! The problem was that when we went to pay for the breakfast and check out the receptionist accused us of having had breakfast there another morning and that we had to pay for it. We told him we hadn't - he continued to push it and try and make us pay and then got the staff from the breakfast room involved claiming they saw us the day before (we did go up there to see what was on offer and decided to not eat there) This went on and on and then he just said fine just pay for one breakfast -but he made it clear he thought that we were lying. Put a bit of a dampener on the whole stay at the hotel and I would not recommend it as a result. Stayed here for two nights before our cruise. The hotel is easy to get to from the airport. We got the train to Tuscalana & then ten minutes walk from the station.We arrived late in the evening & the guy on reception was really good.We wanted to do a tour of all the sights & he arranged it all before he finished his shift in the morning. A taxi picked us up at 8am & took us to the tour bus.We had a really good day.The hotel is very nice.Our room was spacious & very clean.Breakfast was excellent & only 5 euros.Highly recommend this hotel. Thankyou. "good for peace and quiet"
Cinemusic is a very clean hotel and it is approx a 20min walk to the colleseum, however you can get to Rei Di Roma metro stop in 5mins. The breakfast was brilliant for only €5 and was probably our best meal in Rome. The beds were nice and firm as were the pillows. Sebastian on reception was very helpful when we had bother with one of our tours as were the other staff that we met. The only thing that i could find to scratch my head about was the bar which was never staffed and never seemed to be open. In conclusion, we would certainly go back. Chose this hotel as was in close proximity for meeting venue. Perfectly clean but small. However requested balcony and was given charming terrace where I could sit in the sunshine. Breakfast was lovely. Great selection and lovely outside terrace where I could smoke. Reception staff helpful. Only negative was air con was not switched on and weather was 26 degrees. I asked for a fan in room but no one delivered it. Otherwise everything was fine. Recommend for a stay and central for amenities. "Good hotel with good location"
This hotel is great for a wee city break. Just 5 minute walk to railways station, it is ideal for getting to and from the airport. A couple of minutes the other way is the metro station which will take you into the centre of Rome in a few minutes. The rooms were clean and perf ct for what is needed. The staff were friendly and helpful, friends of ours had an issue with their room and without any hesitation they were given another room. Breakfast was decent no complaints at all. We used the small shop around the corner to buy some beers and sit at the hot tub after a frantic day in Rome. Would come back here again when staying in Rome. Great location, close to Re di Roma metro station. We stayed in room 205 which had a balcony on the corner of the hotel at the rear, not much of a view but nice to sit out with a glass of wine after a long day out. Rooms are small, but clean, bathroom is also nicely clean. Bed was uncomfortably hard, possibly one of the hardest we've come across. Very little storage space, slim wardrobe next to bed (so no bedside table on one side). Only one tiny bedside drawer which frankly is unbelievable. Breakfast is great, plenty of choice and everything clean and sparkly. Reception staff very helpful as was the map which is readily available in reception. Close to Pompi (Via Albalonga off Re di Roma roundabout) - home of Tiramisu - don't miss it ! Great location for visiting Rome, more storage and a softer mattress though please :-) PS: Have a spare day? - Take a trip to Ostia on the coast - metro via Termini to Piramide, then train to Ostia Lido Centro....one and half euros per person all the way there, some great restaurants and a stroll along the promenade. 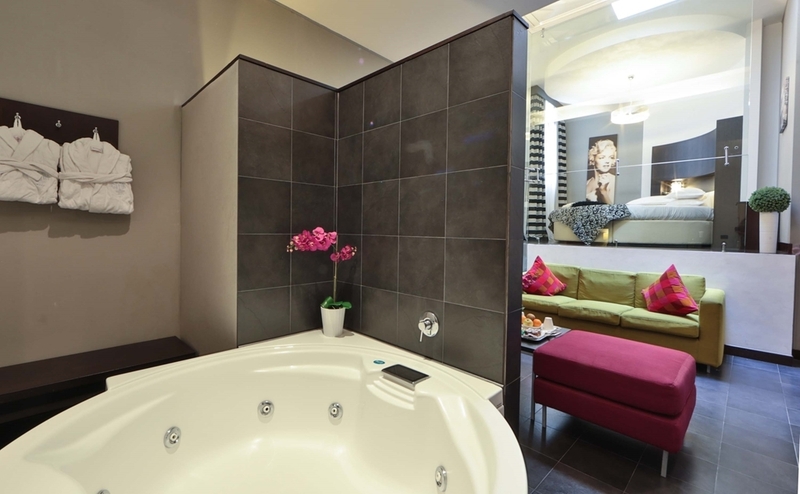 "Perfect for a city break"
We had a lovely time at the hotel staff were helpful and friendly. The room was nice not huge but standard for Europe and was clean and comfortable.Breakfast was nice and served till later than most which was great . Close to metro and gave you a feeling of being away from the tourists nice to go back to after a long day. Only downside was the pool wasn't open and I booked this hotel wanting to use those facilities. I booked a 4 night stay at this hotel for my fiancée's birthday. We checked in and everything seemed to be running smoothly until we reached the hotel room and realised how tiny it was. The design is modern and aesthetically pleasing but a little impractical. 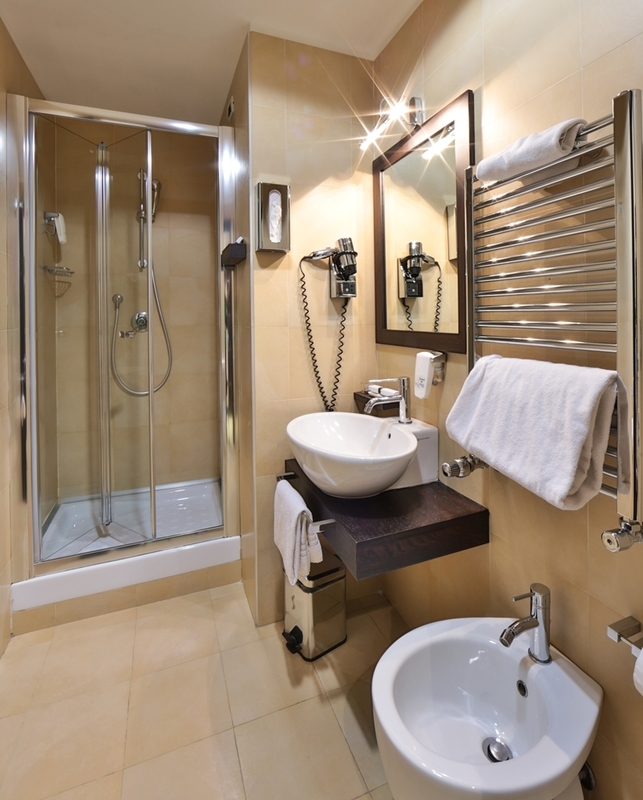 It is almost impossible to shower in private as there is not a shower curtain or a door and the toilet is only separated by sliding glass doors from the rest of the room. The practicalities of this means that the room often had a bad smell of a sewer. The hotel is close to the metro which we found to be brilliant for exploring Rome. However, it is not really close to anything other than the metro. Usually I don't mind walking but as we were only there for four nights we felt that purchasing a 72 metro ticket would be our best option to discover the city. On the first night I discovered that the bed sheets had a blood stain on them and upon checking them the next day I noticed it was still there so the bed was made but the sheets were not changed! After frantically exploring the city for the first three days of our trip we decided to ask about a taxi to the zoo. When we went the the reception desk we were shown where the zoo was in comparison to the hotel (we had already checked the map) on google maps. The receptionist then went on to tell us the other ways we could get there without taking a taxi. When we went to ask him to phone a taxi the second time, he agreed but told us we would have to find our own way back. I have never stayed in a four star hotel where the receptionist is so reluctant to help. My final complaint is that on the first night we were a little weary from travelling all day and decided to go back to the hotel for a drink. However, you can't get a drink at the hotel there isn't a bar and I couldn't see anything offering room service. The only thing was the overpriced mini bar so we settled on a visit to a grocery store for some juice instead. On a positive note the breakfast was good and the lady that run the whole thing single handedly did a fantastic job. It was nice to have morning coffee on the roof deck but other than that I struggle to find anything positive to say about the Best Western Cinemusic Hotel and I certainly do not agree with it's four star rating. Kind guest we were really surprised by this your disasigio that you could resend if once arrived in the room you had all these dasagios but only calmly call the reception to change room and note the problem of sheets together. just so I could find the problem and blame both the maid and the laundry. our reception staff is always very helpful on the directions to give to customers and since I was present even when you came to the reception to ask for information to go to the zoo, I do not remember that the employee has turned badly towards you was giving all the alternatives to taxis to make you spend less. Thank you again for your mediocre judgment. I loved the hotel and the people working there , been very helpful, but just one thing , room was too small for 4 stars hotel , breakfast was good as well room service was excellent . Guys on the reception as well been very helpful and you can ask them any thing. They gave a map which helped me a lot and saved me money that it was too easy to travel with my son via metro . "Great hotel for a city break!" Our stay at this hotel was great! It was in a perfect location. We like walking so we walked to most destinations but everything was also easily accessible by train or metro (the stations for which were within a 5 minute walk from the hotel). It took us half an hour to walk to the Colosseum and an hour to the Trevi fountain. We got the train to the Vatican City and it took half an hour tops and return tickets cost 2 euro each. The room was nice and clean and was made us for us everyday with clean towels also provided. A hairdryer and TV were in the room. There was a tea making station which was restocked daily. There was a mini fridge (We didn't use it but the option was there) and there was also a vending machine in the bar. The staff were friendly and helpful. The continental breakfast buffet was plentiful and we very much enjoyed it. The staff were lovely and always available to help us if we needed it. When we arrived they gave us a map and explained how to get to all the main destinations in Rome. They also came and helped us quickly when we couldn't figure out the heating system. Overall we would definitely stay here again and recommend this hotel. Perfect for exploring Rome and just needing somewhere to rest your head and get breakfast. 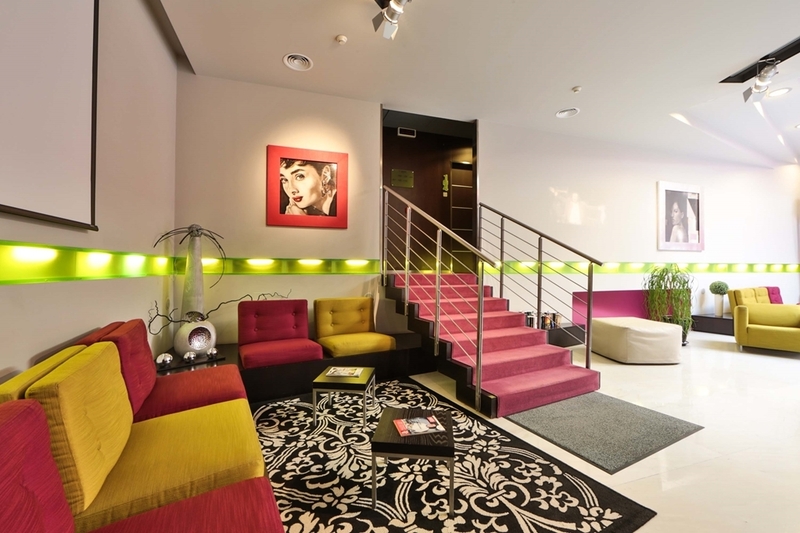 "City break cinemusic hotel "
"Great for a city break! " We really enjoyed our break in Rome. 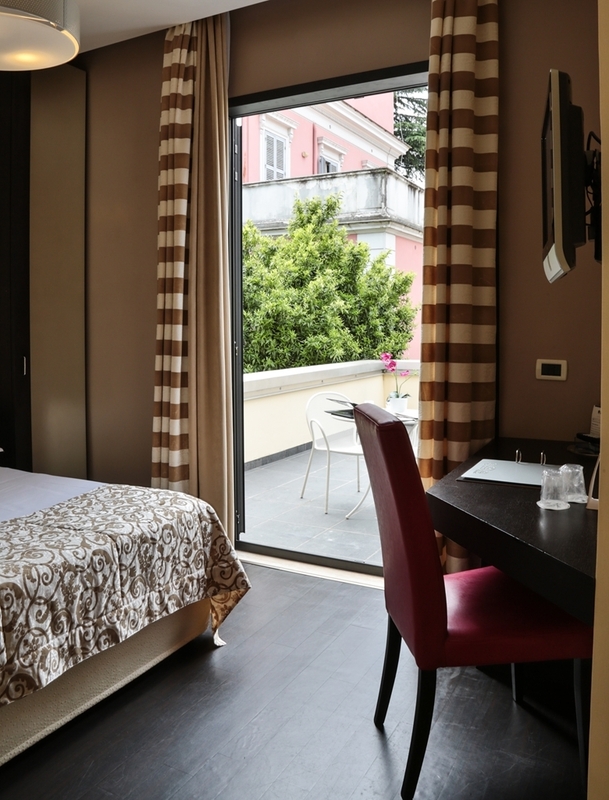 We found this hotel to be an ideal place to experience both central Rome which was easily accessed using the nearby metro but also to experience a little of the local life. We enjoyed some local restaurants, coffee shops and convenience stores. The staff were always lovely, the room was perfect for what we needed, clean and comfortable. We always slept well never hearing a sound from outside, although cleaning of vacant rooms nearby started too early in the morning resulting in a disruptive sleep this morning, our departure date. Best of both worlds staying in this area; so nice to arrive back to a quiet neighbourhood after the throngs of tourist spots. Finally, what a treat it was to arrive back at the hotel yesterday to Lindor heart shaped chocolates on each of our pillow as a Happy Valnetine's Day to us from the hotel. Lovely touch! "Enjoyable hotel, great location, disappointing service"
Great location, close to some excellent restaurants, shops and the metro.This is a real neighbourhood, not a tourist area. Good local amenities and transport links, I enjoyed our 3-night stay, and concierge Sebastian was very pleasant. At checkout, the other concierge (did not get his name) accused me of having breakfast but not paying for it. He kept asking. I told him repeatedly that I had not had any breakfast. It got quite awkward. I left four postcards with him and asked him to post them. The postcards have not arrived yet, almost 2 months later. A disappointing end to an otherwise pleasant experience. I visited this hotel with my mum in August 2017. The hotel is nice, rooms were clean and the breakfast was great with lots of choice. The receptionists were extremely helpful with directions and transportation. It took us a couple of days to understand the buses and how to get into the centre as the hotel isn't central to the site seeing although it is a 10 minute bus journey away. I would return to this hotel. We stayed here for a week in November and we would definitely return. Check in was smooth and quick. Our room was lovely and after a few days we upgraded to a balcony room which was also great. The rooms are very clean and have quirky decor which we loved. We like that the hotel is not in the very centre of Rome but we could get to the centre within a short journey. All members of staff were helpful especially Sebastian on Reception and Benzil who makes fabulous breakfast brownies and coffee. Breakfast was buffet style with plenty of variety, there was a coffee machine for self service but you could also request proper Italian coffee which is much nicer. The metro stop and bus stop are a couple of minutes walk away, the train station a little further and there are some great restaurants and a Tiramisu shop within easy walking distance of the hotel. There are also a few supermarkets within walking distance, one of them, near the train station is 24 hours. We booked this as part of a Jet2 package and would not hesitate to book to stay here again. "Good for a city trip "
So we where in this hotel for 3 nights and first of all the location of this hotel is perfect for a city trip you are 5 minutes from the metro station called re di Roma. The rooms are small but for a city trip it doesn't matter. The breakfast is good except the juices, it's like water with a taste of fruit so for a 4* hotel I found it was disappointed to have juices like this. There is a whirlpool on the rooftop but it was closed because it's to cold outside....but for me a whirlpool should be heated so you can use it even if it's cold outside so I was also disappointed about this. The staff is very friendly and gives you a card from the city while you arrive where you can see all the metro stations and the monuments it was very helpful. I recommend this hotel if you search for a 3* hotel because for me it's not a 4* hotel. "Great service and hotel "
Came here end of June bought my mother to Rome for a holiday. Decided to stay here again as we my sister and I have stayed here before. The room we had was lovely and clean and even had a balcony where we could sit. The breakfast here is lovely as well. I would have liked a bit more variety but on the whole it was fine. Well cooked, well laid out. Everything was always lovely and fresh. The staff were very helpful. They helped us make reservations at the restaurants, gave us maps, advised us on what was best to do in regards to planning the day. The also recommended some restaurants to us which were lovely. The hotel itself was very clean and I love the quirky decor. It's in a decent location a two min walk from the metro station. I would recommend this hotel because the hotel is central but not at the same time. It's in a lovely place. The hotel itself is in a great location. It's very clean and tidy. The staff are very helpful pleasant and willing to go the extra mile to ensure that your stay is the best. "Smallest hotel room I've ever stayed in!" We booked this hotel due to price and location. We wanted to be close to most things (or at least the subway/metro), but didn't want to pay the crazy prices of some hotels in the more touristy areas. To be honest, the hotel is fine for a solo traveler or someone with little to no luggage. Our room was the smallest hotel room I've ever stayed in - I knew it would be small, but I think it was a surprise how claustrophobic I felt in it once we arrived. Check-in was smooth and we were able to walk to a nearby restaurant for dinner after a long travel day. The room itself was clean, but storage space is non-existant. We had 2 large suitcases and 2 large backpacks (for camera equipment) so we had to stack our suitcases on the one stand the room had and get all our items out the night before. There is no storage space or counter in the bathroom. There is a tiny little shelf to hold a few items or one small toiletry bag. The shower drain didn't drain properly, so after a 5-10 minute shower, the water was filling up the bottom. Due to this, the shower always smelled like stale/standing water. The towel rack (which is in the shower and looks like it should heat towels) was rusted in some areas. Bed was a little on the hard side and pillows weren't very comfortable. AC was decent, but could have run colder. The hotel isn't close to much, you do have to walk about 7 minutes (or more depending on how fast you walk) to the closest area for restaurants/gelato/groceries. It's about the same walk to get to the metro/subway station which we took a few times. The hotel was clean and nice, but average, a bit like a Premier Inn. 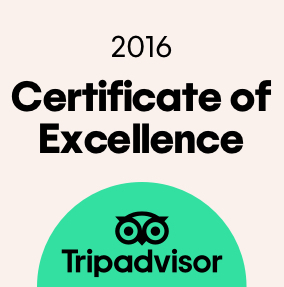 The staff made it for us, especially Dimitrius who couldn't have been more helpful recommending restaurants and sight seeing advice. We stayed here for 4 nights prior to picking up a cruise in Civitaveccia. We had upgraded to a deluxe room after reading other reviewers comments on the size of the standard rooms and were pleased with the deluxe room with balcony .The room wasn't as spacious as we would have liked and there wasn't t a great deal of storage space however the private balcony made up for this and we spent many pleasant evenings with a bottle of wine out there.Staff were lovely,nothing too much trouble.Metro 5 minutes away some great restaurants close by so ideal place to stay . Fell at Best Western Cinamusic, in Roma Italy, was taken to hospital, severe sprain, advised to stay off my leg for 2 weeks, ruined my vacation. Called corporate in the states, after several calls to them, they advised me, they will not compensate me in anyway for out of pocket expenses. I must say the manager at the hotel did offer me a cup of coffee when he helped me off the floor as he saw me fall. Big of him. Shame on you, Best Western Hotel & Resort, will not recommend your Hotel to anyone. That is not the way to run a company. This is not the way to make money, but from what I read from all the other complaints I'm not surprised of this outcome. You lost another customer. Our family (myself, partner 39 and 43 young adult sons in 20's) enjoyed staying in this hotel. First holiday in Rome and staying here made it just perfect. The staff are so friendly and helpful. The decor is so appealing bright and modern, but not minimilast. Breakfast (served with a smile every time) is so good with lots to choose from, great coffee and you can eat inside or out. Lovely rooftop area to sunbathe on loungers. Located 5 mins from train station and subway so you can get around to see the sights. After a day sightseeing the hotel is a relaxed place to come back to. No restaurant service in evening but no problem as you tend to stay out into evening or night, or if setting off early come back to freshen up then back out into the city on the subway. If we go back to Rome this will be our 1st choice of hotel. Finally the guy who checked us in (sorry I didn't catch his name was bit dazed from an early start) told us a lot of really helpful information with an accompanying map. An all round winner! Stayed here with my Partner on the 18th Aug 2017 for 5 days and couldn't have asked for any better! Hotel 4* - The hotel was perfect for what we required and it was very clean,the rooms were cleaned every day with fresh towels also even though we didn't ask them to be changed they were anyway which was great! The hotel was B&B but we just went RO as we were out early so bought breakfast along our travels. We did eat breakfast 1 morning at the cost of €5 which was just like back home although you could go up as often as you like with plenty of selection on offer. Roof top balcony - They have a roof top balcony which was again perfect if you just was a day chilling together,there is a jaquzzi there which you get 1 free token each after that there's a charge to use it but the 2 tokens were great for us as we were out most of the time sight seeing,not sure how much it was for the tokens as we didn't purchase any,there is also a bathroom/shower on the balcony and spa but that was closed due to the hot weather. Reception - we were greeted on arrival by Sebastiano who was very kind and helpful showing us and marking out on the map where we needed to go and what bus/tube we needed to catch to visit all the attractions. He also gave us 1 free jacuzzi token as it was our 1st anniversary together,I emailed the hotel before we left to arranged a bunch of flowers and chilled wine as a surprise to my partner for the day to the year that we met and they were delivered perfectly as asked. The afternoon receptionist Alessandro was also very helpful when needed. Area - The area around looks quite poor in places with a lot of graffiti on the buildings but don't let that put you off,both myself and partner walked around during the day and night and felt very safe there we had no cause for concern. Transport - We booked this hotel as it was about 3min walk to the tube station and bus stop. When we arrived we were told that there was work going on in the metro until the 3rd Sept we looked at each other and laughed (Typical) but again Sebastiano marked out on the map the route we needed to go to visit the attractions etc. With that we decided to take a walk up to the Colosseum and Trevi Fountain to see how long it would take and to our surprise it was only a 30min walk to them from the hotel so we done that every day which allowed us to take in the culture of Rome along the way. We also done the Colosseum and Trevi Fountain during the night and decided to catch the bus back so we could familiar ourselves with the stops for when we go to the Vatican it was very straight forward. We bought a 24hr bus pass for €12 each that allows you to travel in bus/metro and tram. If you have used the tube in London then you'll be fine although it's very straight forward and easy to use. Now that we know the area we would catch the metro straight from the Leonardo da Vinci–Fiumicino Airport and buy a 5 day pass or whatever would be required instead of booking transfers So to sum it all up we would most definitely book this hotel again if visiting Rome. Everything was perfect for what we required and we would both highly recommend this hotel to others visiting Rome in the future. We stayed for 3 nights at the Best Western Cinemusic Hotel for fiance's birthday/ 1 year anniversary. Be prepared for loads of walking! When we arrived we thought it was a terrible part of town (graffiti on every available surface) but apparently that's the norm around Rome, the area was actually fine and safe to walk in the evening. We had to walk around 15-20 mins to St John Lateran building to change Omnia vouchers for the actual tickets and the bus stop for the bus is around the corner from there. (Tip: the ordinary local bus number 81 will take you to the colosseum also) . We found it hard to get somewhere gorgeous to eat and drink in the evening - there's are loads of tiny restaurants around the hotel but if you want mood lighting and a lovely restaurant/ bar we found one on the last night - gutted we didn't find it before. The restaurant/ bar is called Tira e Molla , about 5-10min walk from hotel. Gorgeous. Hotel was very clean , staff don't speak much English - Dometri was fabuolous. The best bit of this hotel was the sun terrace (we stayed in a deluxe double with terrace) rooms are very small , but that's normal in Rome, and the hot tub on the roof terrace was fab after a hard walking day to chill out. Breakfast was fine. BEST TIP: when you go through arrivals at airport- don't take a taxi where they approach you as soon as you're through arrivals it will Cost you around 120 euros! The usual fair for a nice car is 50 euros and a standard one around 35- so ask hotel on way back to book you a 50 euro one. Eating and drinking out can be expensive - and if you're a smoker finding somewhere open to buy them is a mission- so take some with you as you can't buy them at the departing EU airport to take with you (not allowed)!overall the sight seeing was fabulous- Rome is a must see but accommodation and scenery around Rome was a little disappointing for us - but then its city centre - roll on a beach hol next! Me and my partner stayed here for 4 nights for our first trip to Rome. The hotel is located in a quiet area with lots of local restaurants near by, however when we visited most were shut i love you to being on their holidays. There is a bus stop within a 10 minute walk from the hotel which connects you to Termini where you can then get access to most tourist attractions via bus or metro. The Hotel was incredibly clean, staff were very helpful and friendly and spoke good English so communication wasn't an issue. We stayed in a double deluxe room with a terrace which was great, room was a decent size, very comfortable beds and well equipped. We even used the jacuzzi on our last night which topped off our stay. I would definitely recommend this hotel for anyone staying in Rome but recommend upgrading to the deluxe room! Thanks for making our stay incredible! Stayed here for four nights on a family break. The hotel is lovely, well designed, impeccably clean and well run. Our triple room was small but well designed and had a wonderful large outdoor terrace with furniture which was great. Nice touches like toothbrush & toothpaste in the bathroom, slippers and a nicely stocked mini bar. Breakfast had a great selection of items and the staff were friendly. Reception team went above and beyond to ensure we had a great stay, talking us through maps, where to go and the best way to get to everything. When I wasn't able to book Vatican tickets from my phone they did this for me. I would highly recommend this hotel. 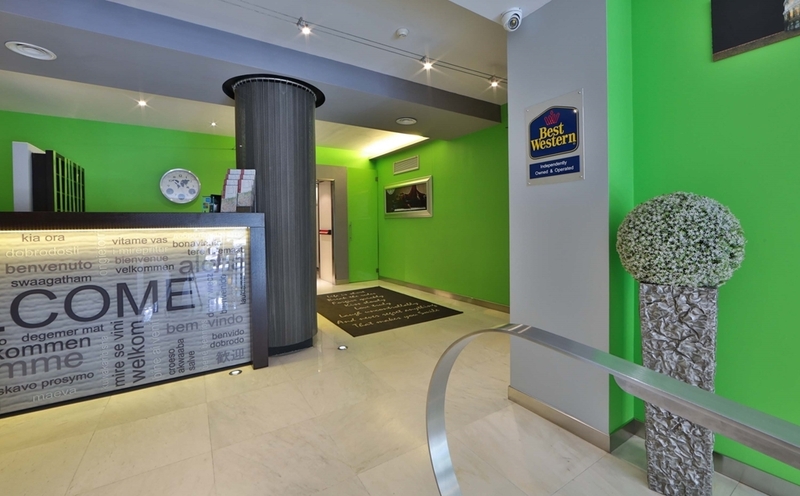 If you don't have a huge budget but still want all the essential comforts of a reliable hotel I can recommend the Best Western Cinemusic Hotel in Rome. Located close to the metro on the red line, which connects you to many of the must do destinations. The team at BW are friendly and very helpful. Breakfast was good value at €5 each. The rooms were modern and comfortable with large windows that you could open and listen to the birds singing and church bells chiming. Have just returned from a 4 night break here, was very happy with everything, we got a lovely room with a large terrace, which had the sun in the evening. Location is great as just outside the main city but only a 5 minute walk to the nearest underground which gets you to the centre of Rome very easily. All staff were friendly and helpful especially the gentleman that checked us in. Breakfast I was pleasantly surprised with as was expecting just continental but they had eggs and bacon too. Would definitly stay here again, the only negative was I never saw the hotel bar open. But this didn't really cause a problem for us. 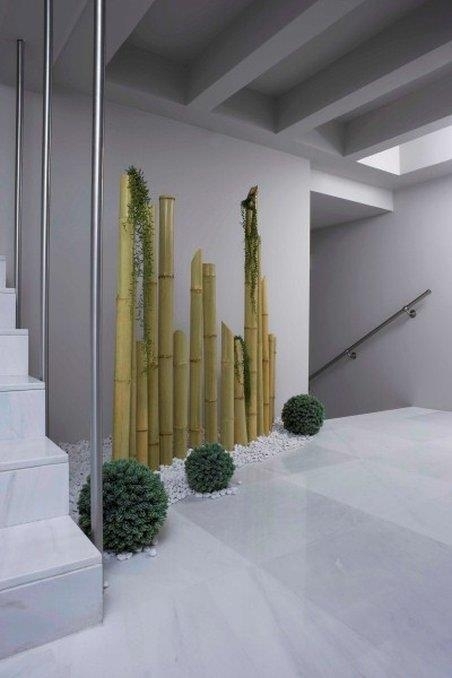 "Nice modern hotel with excellent helpfull staff"
Very nice modern hotel with interesting interior and with nice and clean Rooms and excellent service. Also great and helpfull staff,especially Alessandro on the reception,who was ready to help us have a wonderfull stay in Rome. "Great hotel in a great area"
My girlfriend and I stayed at this hotel for 5 days as we traveled to Rome, Italy for the first time. We were able to do an early check in which was very appreciated since we just got off a 9 hour flight. We had a standard king size room and it was beautiful. A little small but the we made it work. We had a green wall by the shower that definitely gave the room some color. The front desk agents from the AM and PM shift also helped us numerous times with advice on how to travel Rome and what to see as well as call taxis for us. Being a supervisor in a hotel myself I loved how they treated us and assisted since we aren't that fluent in the language. Alessandro in particular was amazing. He helped us late at night book a train to Venice for the next day and he did everything he could to make sure we had all the information we needed for our stay, at one point he even brought an iron and board to our room himself instead of waiting for housekeeping to do it. Simply marvelous. My girlfriend wouldn't stop saying how amazing he was so from the bottom of our hearts thank you Alessandro. Overall breakfast was satisfying and the only reason I didn't give a 5 rating was because the pool was broken but the hotel was wonderful and the area really gave you a feel of real Italian culture since its a little far from all the tourist attractions. We will for sure stay here again when we return. Great hotel and a great best western. Nice hotel, stayed for 4 nights. Staff friendly and gave us a map showing bus and metro stops. Small room but well equipped and clean. No balcony and high window with a view over to another building. In residential area, very quiet, no bars or eating places apart from one pizzeria, Meridiem, on same street (turn right when you come out of hotel) which was very good. The hotel only does Breakfast which is 5 euros but worth the money and you can sit on roof terrace to eat it. Beware other reviews saying 20 minute walk to Colosseum its not it took 45-50 and we like walking! Too far from Colosseum and other sites so when we left in morning we stayed out all day and came back late evening. If we go again we'd want something closer to the centre. "Comfortable hotel with friendly staff"
I stayed here for three nights. The room was well equipped, with tea/coffee making facilites and a safe. The bed was comfortable, the shower good, and an effort has been made to reduce noise from guests in other rooms. The staff were very helpful and friendly. It was a 5 minute walk to the local Re Di Roma metro station, and a 10 minute walk to the rail station to get the train to the airport. All in all, a very pleasant hotel. "Nice hotel, shame about the room size....."
This was a nice hotel, nicely decorated and well maintained. The staff were very friendly and attentive. Our room (112) was very small though. It was well maintained and tastefully fitted out but just too small. The breakfast was OK, not great but I've had a lot worse. We had to keep logging back in to the WiFi every time you left the room or didn't use a device for a few minutes…. It was most annoying. The bar was not constantly manned but they did accommodate when asked at reception. This hotel was a short walk to the Metro but when next in Rome, I shall probably opt for somewhere a little nearer to the centre. 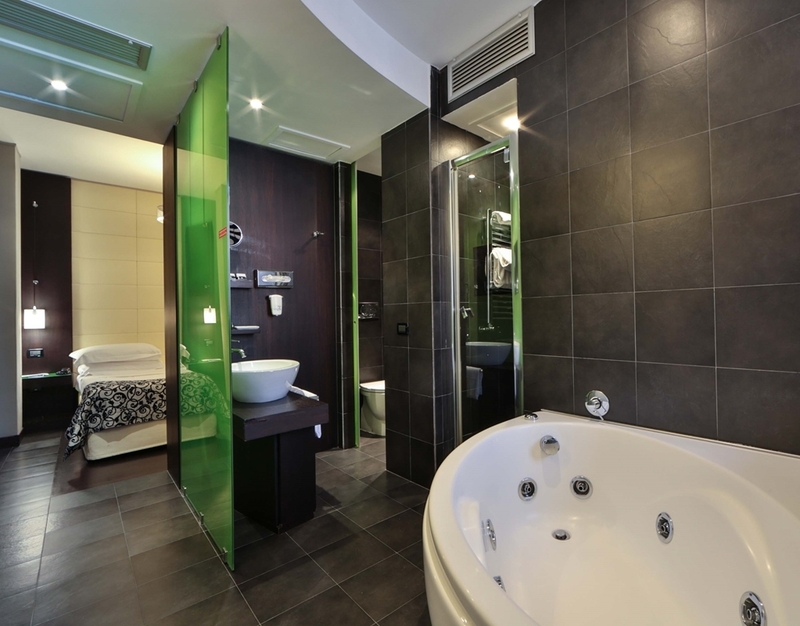 "Nice hotel close to subway and train to airport, 15mins walk from colosseum"
Nice hotel with very helpful staff. It's in a quieter suburb but the mainline and subway are a short walk 5 minute walk so you can get any where in Rome from their. We had bikes that they kindly store for us for the 2 days we stayed. We had a room with balcony but a little to cold to sit out when we were there. Colosseum is about a 15-20 minute walk or you can catch the bus/subway. Breakfast was nice, although there wasn't really any bar. I think that was because they were so quiet. Reception is set back from the road and you, have to look twice or you might miss it. It was just what we needed, not fancy but good, clean hotel. We took the regional train from the airport - hotel is just 5min walk from the station, just outside the wall of old town, 5min walk to the subway or 10 euros taxi ride from old town at night. "Interesting Concept - Had a Good Stay"
This hotel is situated in a quiet area a short taxi, metro ride from the centre (15-20 Euros in a taxi). The concierge are extremely helpful, nothing is too much trouble for them. The continental breakfast was varied and plentiful. The catering staff surprised us with a birthday cake (tiramisu) on the morning of my nieces birthday. Such a lovely thought and memory for us all. Clean hotel in a prime position to access the many wonders of Rome. Metro station 5 min walk away. A few shops and restaurants within walk of hotel. Very quiet in hotel while we were there. Breakfast always served with a smile. "Great hotel in a safe area while visiting Rome!" The Best Western Cinemusic Hotel was a clean and friendly hotel with nice décor. The staff gave us a great city map and showed us where the metro and bust stops were located. The hotel is located a little outside of all the major sightseeing places but using the metro gets you everywhere you need to go within 5 to 15 minutes. The room was average in size for Europe with a comfortable king size bed and our room was very quiet at night with no road noise. The hotel serves a great breakfast for a very small charge which is worth having every morning. We would stay here again for sure! 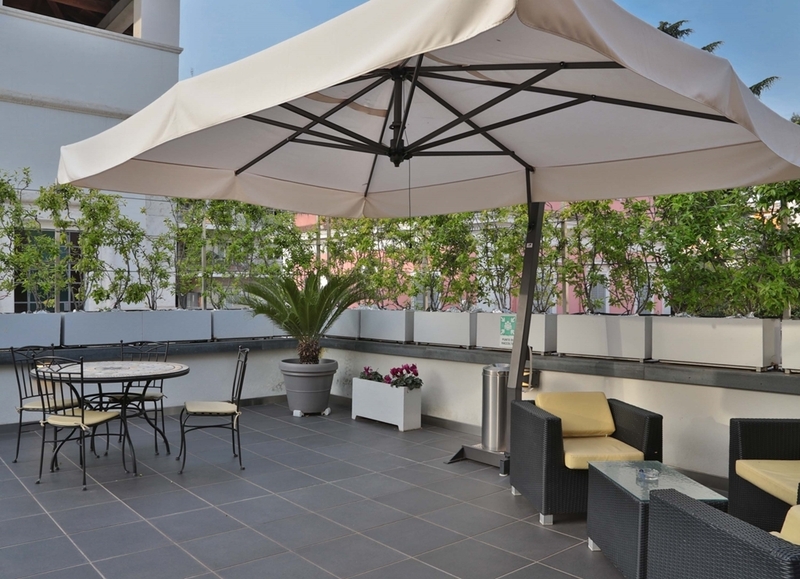 The hotel is situated in a good location to get to central Rome by public transport and to and from the airport by train. The reception staff. especially one man, are very friendly and helpful. Breakfast is very good value at Euro 4 per person. Room was nice. Overall, very good. 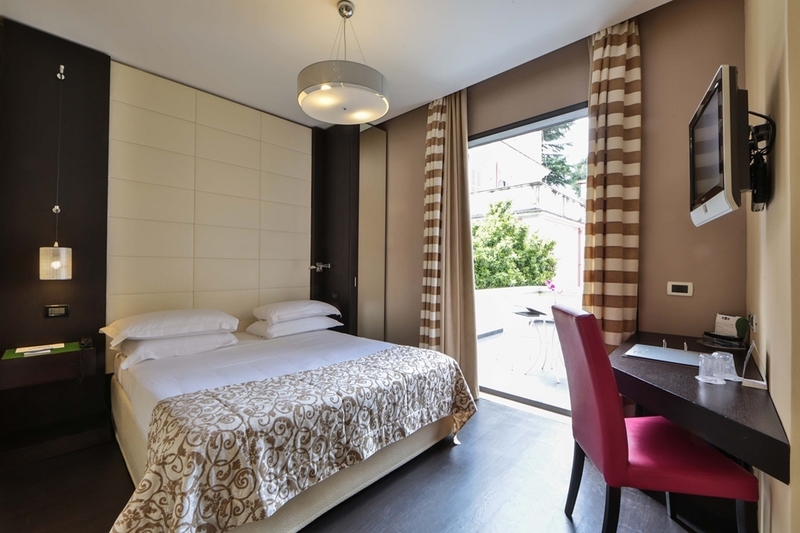 "Lovely hotel in quieter area"
The cinemusic hotel is in a great location, away from all the noise of the centre of room but still very easy access to the Colosseum and many other attractions, you just get the metro everywhere, very easy to navigate. I came here on a surprise trip with my boyfriend for my birthday for 5 days, it was wonderful. When we got to the hotel they were very helpful with my boyfriend, helping him find a restaurant to take me too on my birthday! And they gave us maps of rome which were also helpful. The room was small but very well kept and clean and we had a balcony but we were out and about so much we didn't use it very much. We had breakfast included in our stay which was good, a few options but not an incredibly large spread. For the value of the hotel, everything is brilliant. In hindsight it would have been nice if we could have used the hot tub on the roof for a bit longer, they give you a coin and you are only allowed to use it once. Would recommend staying here if you have come to rome to explore and will be spending most of your time out and about like we did, but then come home in the evening to a lovely little hotel which is quiet in the evening. 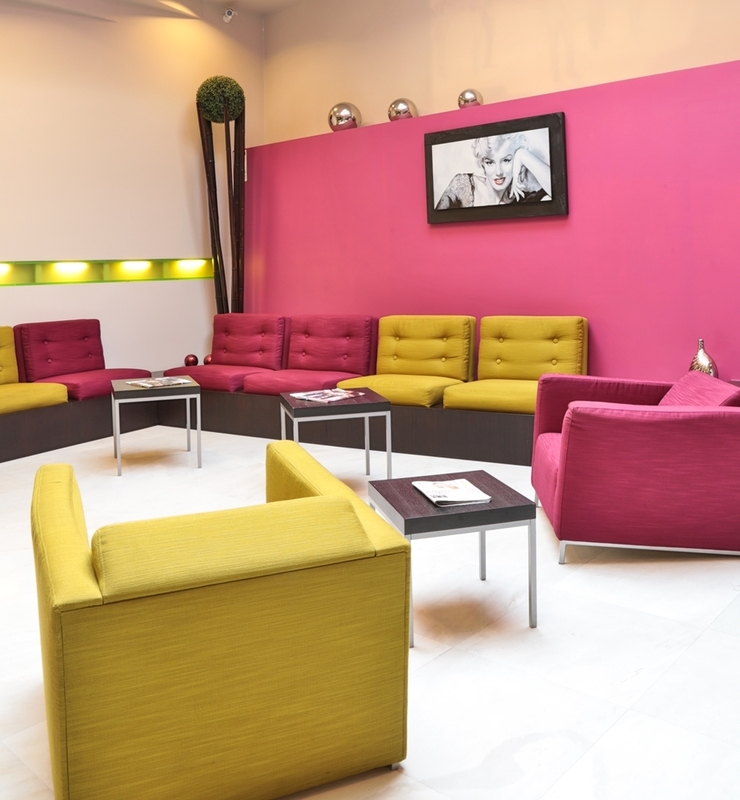 "Outstanding price/quality ratio, friendly staff, close to metro"
Basic hotel, modern style. Very friendly and helpful staff. Breakfast cheap and many choices for that price. I had a room with bathroom that was equipped for wheelchairs. Bed was a little hard to my liking, but that's of course a personal thing. Clean. Nice roof terras. Close (350 mtr) to metro and busses. In vicinity of San Giovanni in Laterano(1,5 km). so, this hotel is best described as a mom & pop boutique hotel. it has quirky designs in the rooms and just 1 person, at a time, who is the front desk, the concierge, the valet and reservations. there are 3 men who work the front desk - 2 speak English very well, go above and beyond to help you, and are polite and kind - and 1 who is the complete opposite. there are two ladies who handle the breakfast service who are so sweet. and the maids are very thorough in their cleaning. the rooms are small and remind me of a youth hostel. the smallest rooms are really made for an intimate couple and nothing else. i gave this hotel an average score rather than a very good because, unfortunately, we had to deal with that 3rd front desk guy the majority of the 2 weeks we stayed there. he made our stay quite a painful one. We arrived early so our bags had to be locked in a secure room before check-in. No problems when we came back, check-in was easy. Hotel in good location, about 20-25 minute walk from the colosseum. Rooms were small but clean. Free Wifi and English news channels. Would recommend for a short stay in Rome. Don't forget to vote helpful if this review helped you. "Decent hotel and good location "
On arrival the hotel appeared clean and we were checked in fast! Shown to the lift and found our room on the second floor. The room was a decent size the bed was comfortable and it had all the things you would expect, including a safe! The bathroom was of a good size and the toiletries provided were of good quality. Shower was good and easy to use. All very clean ?? The downfall of this hotel was that the bat never appeared to be open, it looked a lovely place to sit and relax but there was never anyone around to serve you! I can't comment on the breakfast as we did not have this on our stay! Would recommend this hotel as a good base. Just over half hour walk to the colosseum which on a nice warm sunny day is very enjoyable. Lots of lovely little restaurants and pastry shops around too for when your hungry. The hotel itself was lovely. The room was smallish but big enough considering you don't stay in the room that much in rome! The terrace was a nice addition Bathroom was nice and well equipped, it was clean, breakfast was good and great value and its about a 5-10 minute walk to metro and then 10 minutes on the metro to the centre of rome. Overall we are pleased we stayed here as it offered really good value for money. What really let it down for us was the staff. We wanted a drink at the bar one night so went down and there was nobody there to serve us, we were told mixed messages about how we should arrange a taxi to the airport (ask to book at the hotel if you need to). But what really spoilt it was the noises from the downstairs room which sounded like someone moving furniture. Called reception to be told he didn't know what he could do as he was on his own so we didn't get very much sleep. I would recommend just not room 205! We stayed here for 3 nights prior to going on a cruise. We really liked this hotel due mainly to its decor and location. We were room only but it was easy to find somewhere nearby for a light breakfast. We also had excellent evening meals in two nearby restaurants. The staff could not have been friendlier or more helpful. The only reason for not giving 5 stars is because the bar was never open! The decor was lovely and it would have been great to sit there in the evening with a drink. However we would not hesitate to recommend this hotel. The hotel was clean but unfortunately the rooms were tiny. We booked a room for 3 adults and the 3rd bed was a camp bed - not really acceptable when all adults paid full price. Far too small for 3 people and just about big enough for two average sized adults. If you're on the large size you will struggle to move around the room comfortably. Rooftop Jacuzzi was good and the breakfast was ok - staff were pleasant enough. Would I book again ? well its a no from me. There are much better hotels. "Good value, good transport links"
The rooms looked modern and clean and the air conditioning was very effective. Wifi was a little slow, but that's probably to be expected in a hotel, but the good news is that it is free. The bathroom was a little unconventional in my twin room. Sliding doors you can not lock for the toilet, and the shower opens directly onto the room with no privacy at all. The layout of the hotel was a little confusing, and when I arrived at midnight I was struggling to understand the signage on the first floor. In order to get to the rooms you need to travel from the stairs, through the bar and up another small staircase to find rooms 102 and up. From what I used the service at the front desk seemed to be good. I did not use the rest of the hotel amenities so I can't comment on them. In summary, the hotel was very good value for the price I paid for it. The CineMusic hotel might be a little bit out of the way, but Re di Roma Metro station is a very short walk away which will get you to most of the tourist sights very quickly. 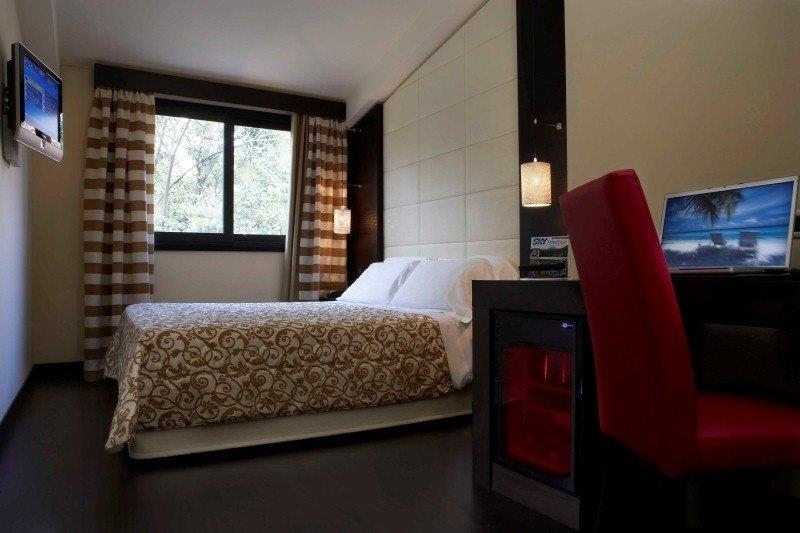 The hotel is also close to Roma Tuscolana station where you can catch a train to the airport. You need to cross a few roads to get there, but it's much easier than braving the Metro at Termini with all your luggage. It's not that easy to find as it is a bit hidden away, look for the StarOil petrol station on the other side of the road and you will know you are nearby. "Modern, bright hotel and freindly staff"
Had requested balcony room for anniversary celebrations and 50th birthdays, said they would try accomadate us, if not booked , but balcony rooms were empty and hadn't . As a smoker had to go each time outside the building day + night. Next door to firestation but want too bad noise wise. Turn to left to go to shops, to avoid Hill if you right it's a longer walk and steep hill. Hotel bright and clean, staff very helpfull with sight seeing and bus routes etc. The only problem we had with this hotel is that it didn't have any parking. But maybe that is typical with European hotels that are downtown. It was in walking distance of many places and quick access to the bus lines. "Perfect for a short break"
We booked a short weekend stay in Rome and picked CineMusic Hotel mainly for the price and the location. The hotel is a short walk from a metro station, which meant we could easily see all of Rome at our convenience. The room was better than I had expected, and the staff were so lovely and helpful. I would recommend to anyone thinking of going to Rome on a budget, this was perfect. "Great Hotel and Friendly Staff"
We stayed here as a family for a week in July 2016. The hotel is very nice and clean and the staff are very friendly and helpful. One of our party was ill and they could not have been better. Only downside is the bar is rarely open although if you ask at reception they are happy to get you drinks on request. Overall a great experience. Metro is approx 200 yards away and bus stop about 500 yards so easy to connect to public transport. Stayed here for 6 days for my Mums 60th Birthday. On arrival Check In was simple and the receptionist gave us a map and information about local restaurants and how to get to the train station for our trip to Florence. He was very helpful! When we got to our room we realized we forgot to pack the European plugs, then realised the hotel supply them free of charge! It was also a nice change to have free use of the safe as well, this was a big plus for us! Our room was spotless and beautifully decorated. The bed was really comfy and we had two pillows as standard which was also great for us! The air con was brilliant and kept the room nice and cool. We also had a balcony door which let lots of air in too. The shower was powerful and hot and again decorated beautifully. Breakfast was nice each morning, three types of cereal, bread and toaster, fresh fruit and cheese/ham/salami. There was also scrambled and boiled eggs each morning. It was what you would expect to find in a typical continental breakfast. It was all fresh and regularly replensihed. The waitress at breakfast was very friendly and always greeted us with a smile. We used the jacuzzi on the fourth floor - this was brilliant! Perfect after long days of walking. The area is well maintained and looks great. 4 euro for tokens were good value, we only needed a couple of these so it was a bargain! 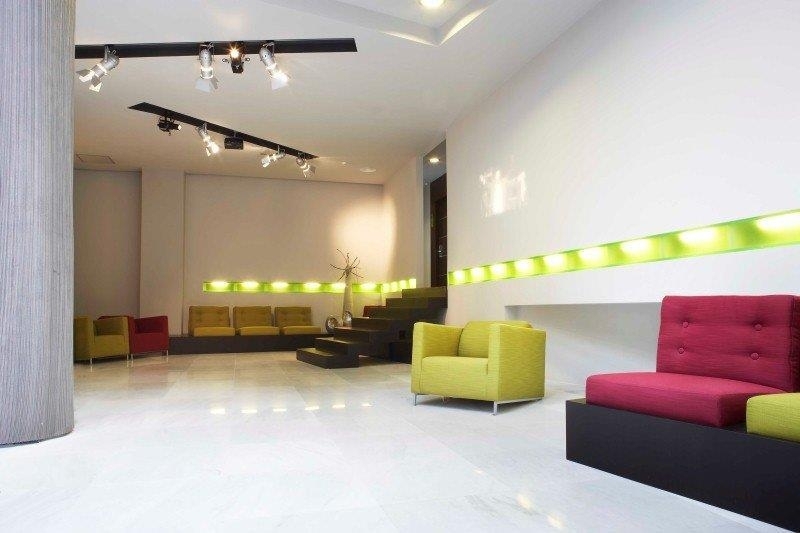 This facility isn't something you would find in the centre of Rome which is one of the reasons why we chose this hotel. It was set back from the road and offered a more quiet setting to that in the centre. It is a 5-10 minute walk to the metro station (Re Di Roma) and this connects you to Termini which is the stop for the main train station. You can also get to the Trevi Fountain, Spanish Steps, Collusium and the Vatican using the Metro. There are single tickets, day tickets and weekly tickets to chose from. Trains are every 5 mins so it is easy to get around Don't be put off by this hotel not being central, it offers everything one could require whilst in Rome and offers a fantastic service by staff. This is a long review, but I felt as if I had a lack of information prior to my stay to want to help others who are also a little wary or confused about it. 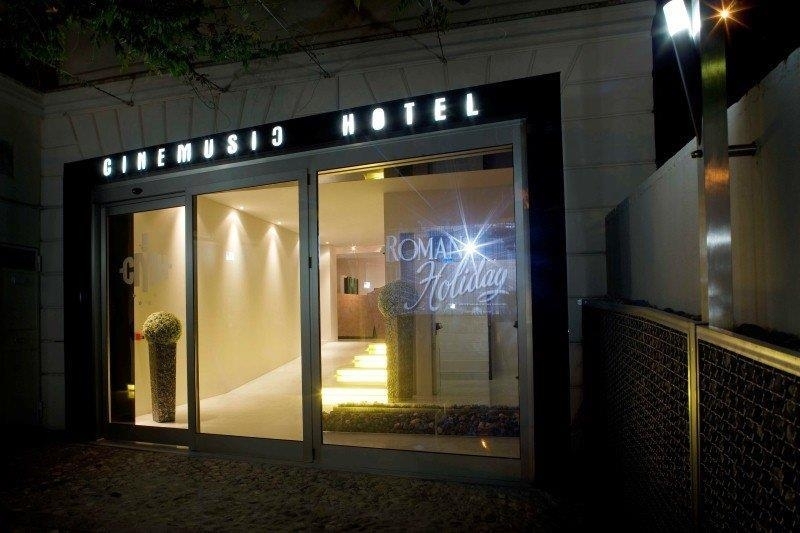 We have just returned from a 4 day visit to Rome staying in Cinemusic hotel. The hotel was very nice + the staff very helpful + friendly. They were able to answer any questions that we had. The room was well equipped + housekeeping kept it very clean. I decided to pay to upgrade the room to a room with balcony, the only negative I have on this is that it wasn't a secluded balcony with only a hedge separating the rooms. I wasn't too impressed with the surrounding area however this has no bearing on the hotel. Definitely worth a visit. First impressions were a lovely clean smelling reception area and friendly, helpful receptionist. Contemporary decor with music and film theme. Due to flight and transfer delays, we arrived at 11pm so not much was open locally for food. We just made the most of the mini bar and vending machine in the bar. Room was small but ideal for our city break. Free WiFi access and air con. We frequently stopped off at the hotel bar but it never seemed open. Such a shame as it is beautifully decorated. The breakfast room on 3rd floor was too hot for us and put us off eating in the morning. Continental breakfast as you would expect, but not a great variety on offer. Warm Nutella, some fresh fruit although not replenished. Very hard boiled eggs and mediocre coffee from a machine. Poor selection of cereals. Staff friendly though. We didn't use the hot tub on the 4th floor as we didn't have time, but saw that there is a 4 euros charge payable at reception in exchange for a token. 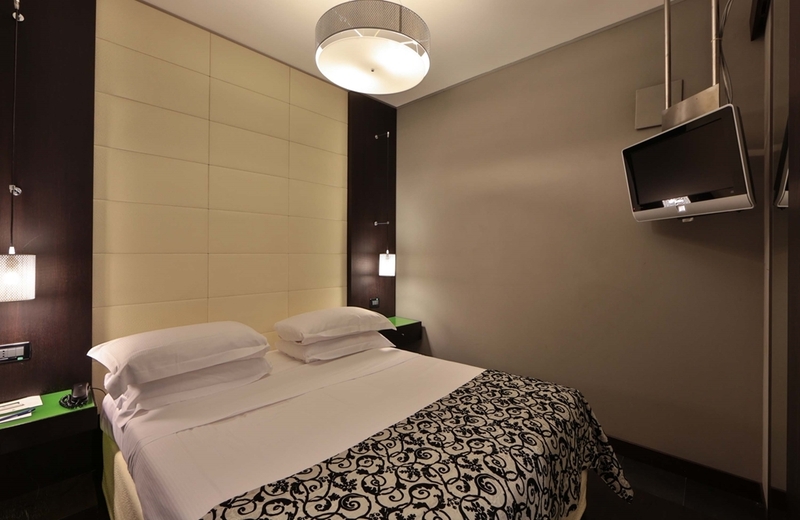 Overall a nice hotel and handy for Ri de Roma Metro station which is a quick way of reaching the city centre. Towels changed daily and bed made up. Hairdryer in bathroom over heated! Tourist tax is currently 6 euros per person per night payable when checking out. Got this hotel through a secret deal on Agoda (which lists the area of the hotel and amenities but not the name) which didn't really get me any reduction in the average price this place charges, so was unhappy about getting a crappy deal. But on the upside, the place was nice and we were upgraded since rooms weren't available. It has a nice, quiet location which is a 10 minute walk from Re Di Roma metro station and Tuscolana train station. Best & shortest way to get here from the airport is to take the airport train to Tuscolana station for 8 euros. Friendly staff, good infrastructure in the room but a little small in size. "Worth staying there out of the old town"
A lovely hotel featured with movie and music. Room facilities were alright for those who look for value for money. Location is convenient - 5 mins from a train station where regional train departs for the airport every 30 mins and close to a metro station. For sure I will stay at this hotel again when I come back to Rome. Although we were only there a couple of nights before moving on to the countryside, we had a great stay. Nice and quite and and close to the Metro. Only a few stops into central Rome. Some great place to eat nearyby. Breakfast was great and the staff were always helpful. Great little hotel that you could miss as its set back from the road. Nice n clean.hotel with friendly staff who made the trip that more enjoyable. Easy access to the metro which takes u into the main part of rome to connect to all the main attractions ( easy tp navigate too) its worth the stay. The rpoms have a safe n fridge to store necessities. "Nice, small asd cozy place"
Stayed there 4 nights in June and were very happy. Place has like 24 rooms so its quite small but that makes it quite cozy. Staff is friendly. We arrived late in the evening and wanted to eat something and the guy in the reception told us where to get food so late. Also everytime you go out or come in he said hello, and so did the waitress in breakfast too. Halls can be a bit confusing, easiest is to move with the lift :D Hotel has a bar, which we didnt try, but it doesnt have a restaurant. If you want to eat in the hotel you have to get the food from somewhere else or ask the reception to order it from some restaurant they have a deal with. Hotel has a JACUZZI and some sunbeds on the roof, so if you have a spare day or need some rest from walking i recommend you head there with something to drink! Jacuzzi is free but if you want some bubbles you need to get tokens from reception. First is free and then the cost is 4e/15min. There is also shower and toilet on the roof, so you dont need to got to your room. Its good idea to have cash on you when you go buy food or stuff from nearby stores, some dont accept credit cards! 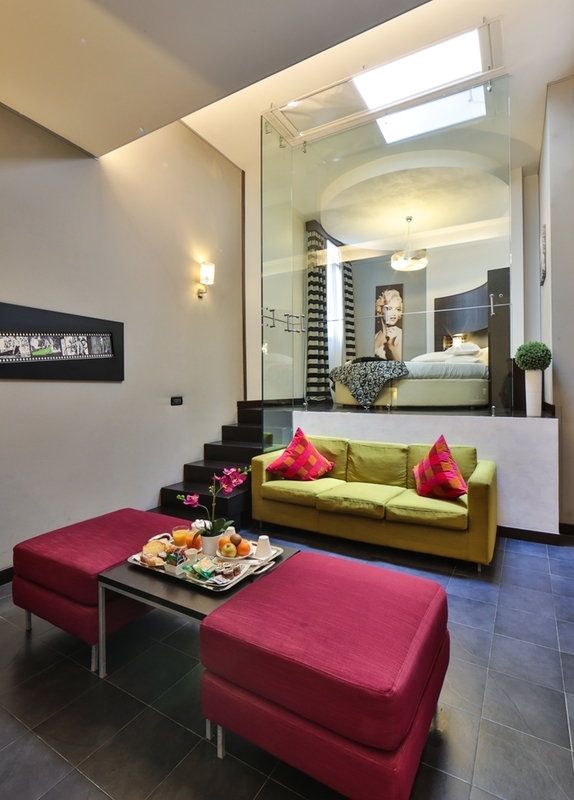 "Review of Cinemusic Hotel in Rome"
Recently stayed 6 nights at this friendly hotel. Staff are friendly however Bezel who assisted with breakfast was a first class star - she made us lovely coffee in the morning, fresh not from the machine, tasted wonderful! Room was roomy, beds firm along with pillows, air conditioning good and bathroom and extras was lovely including slippers! Was a wee bit of a trek to the city centre (the coliseum) lots of lovely wee restaurants nearby and very cheap - pizza 6 euros and a bottle of wine 8 euros. Overall we enjoyed the hotel, but would stay a bit closer to the city next time we visit! Lovely patio area to sit and read your book, very peaceful. There is a bar in the hotel however we checked it out a few times, but there was no one in! My partner and I stayed here for a week in early May and really enjoyed it. The staff were very helpful and always pleasant. 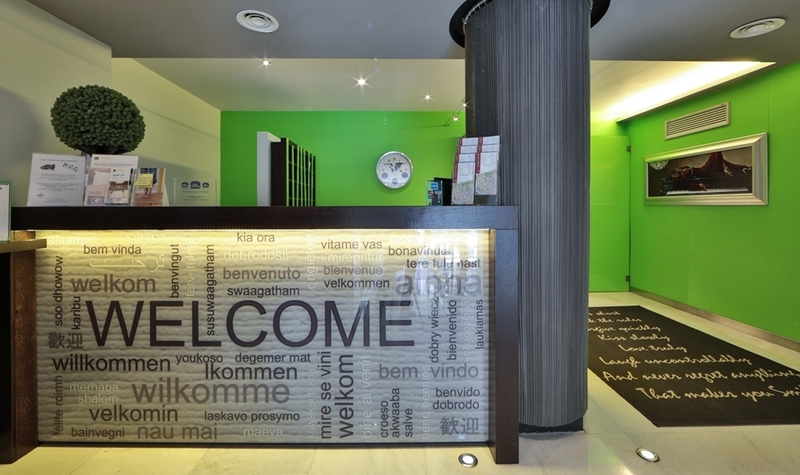 The hotel is ideally situated for easy access to Rome city centre via the nearby subway station and far enough away from the hustle and bustle to relax and get a good night sleep. The room was small but perfectly formed and had everything we needed inc free wifi. The roof top hot tub was amazing, we spent a couple of hours in there most nights relaxing after lots of walking ( there is so much to see in Rome) through the day) and watching the sunset. We were lucky enough to have it to ourselves every time so it was very romantic. The breakfast was ok for me but my other half was craving a cooked breakfast by the end of the holiday (hence the 4 instead of 5). I would definitely recommend this hotel if staying in Rome and buying a weeks subway pass (€24 per person) as this will get you to all of the top visitor attractions in minutes. Tip: the bar prices aren't too bad but if you nip round the corner to any of the shops the bottles of peroni are half the price! "Quiet hotel out of the way"
We stayed here with my boyfriend for 3nights,1night in a suite:) It was great,loved it! 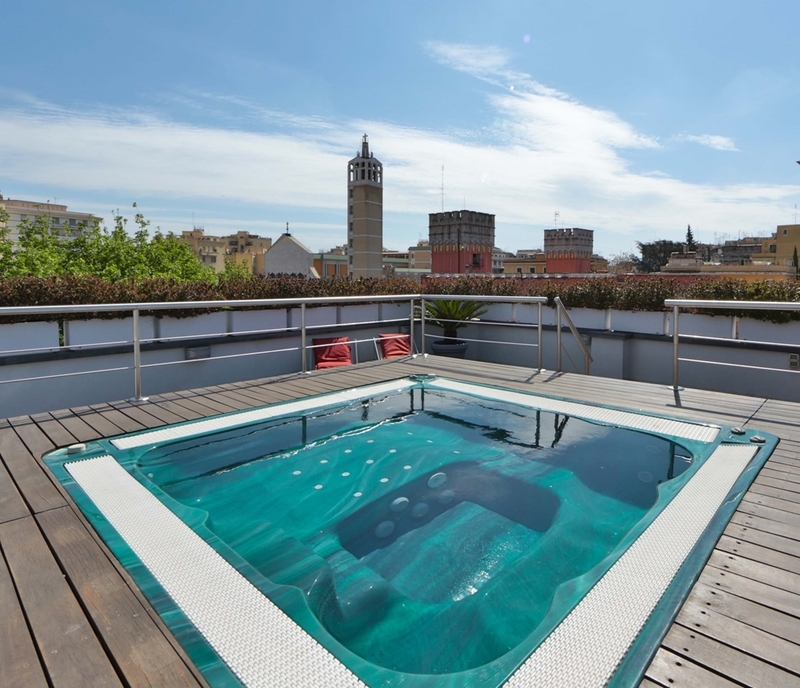 !they have jacuzzi on the top floor,where you can relax after walking! The staff very helpful and nice,the hotel is very clean and modern,the location is good too ! There is breakfast for only 4euro,good value. In total everything was great,only the wifi wasn't working well! I would highly recommend this place!!! "Small property, meets most needs..."
Small compact hotel especially if you get a good price. Rooms are small and basic. Breakfast was good and in a good setting especially if you are in the solarium area. Helpful staff, speak decent English, must say, not so common in Rome! Rooms are quite small and please order for the tea coffee maker separately. Stayed in the Cinemusic for three nights at the end of March and would definitely return. The hotel is clean and well appointed with friendly helpful staff. The rooms have wall safe, fridge, television( very restricted English language channels) and free wifi, beds are comfortable and towels changed daily. Unfortunately the room toilets are rather peculiar ----- glass sliding doors separate the toilet from the bedroom and do not really offer privacy. 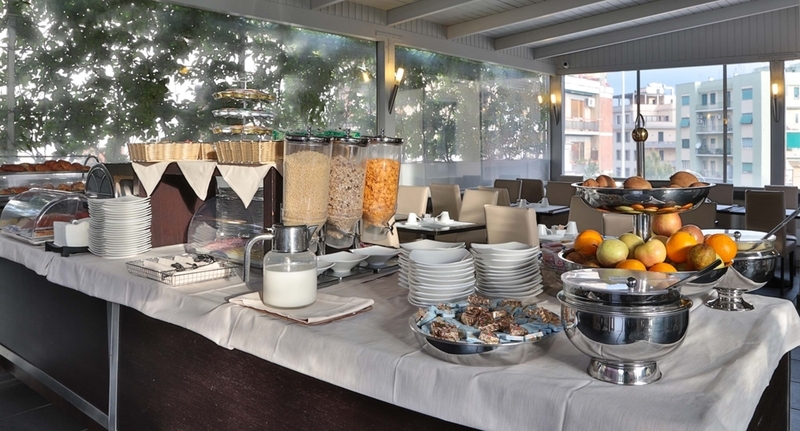 Breakfast is buffet style and by Italian standards excellent ---- eat as much as you like and a choice of meats, cheese, boiled eggs all regularly replenished. The hotel does not serve dinner. The hotel is close to one of the main shopping areas of Rome about five to ten minutes walk and is handy for Metro and Bus. The Forum and Colosseum are about twenty minutes walk away. "Sebastiano and all staff were excellent hosts and went the extra mile for us." Our room was well appointed and well maintained, but a wraparound curtain on the shower would've helped with confining the water to that area during use and a small 6" high movable platform at the toilet would've done wonders for the ergonomics as our legs were dangling as opposed to being firmly planted. This room, to be fair, was quite disabled friendly with plenty of bars to grab onto where needed in those areas. Bed was quite firm and sleep came readily. Breakfast had many and varied items to choose from and many variations of coffee as well. Location provided quiet nights while within a short walk from both buses and Metro as well as restaurants. We would go back again on a future visit. The hotel was very clean and very modern. We had no problems at all whilst here. Only downfall would be that there's not really any privacy In the bathrooms, I didn't like getting a shower with no door or cover. The bar never seemed to be open but the breakfast was nice- the staff were very friendly! Would of liked to use the hot tub but not open until it gets warmer. Very close to metro which is a bonus. We enjoyed our stay thank you. Just wish more was going on at the hotel such as bar being open, but this may be due to time of year that we went. "Lovely staff, lovely location and overall a great hotel"
"Mediocre hotel - definitely not a 4 stars hotel." All in all the hotel got two stars since the staff were really nice and helpful. the facilities are hardly one star by my rating. We arrived at the hotel with high expectations due to the fact that this is a Best Western hotel and it's rated as a four star hotel. The rooms are quite small but are sufficient. In our first room the bed was aweful - we felt each spring in the matress individually and it was painfull to sleep (we got up with aching backs). After complaints, the staff (which were friendly, nice and helpfull) have upgraded our room and gave us a room with a round bed which was way better BUT in our new room the bathroom and toilet were open and had no door (!!!) - the toilet had a sliding door made from glass which did not block and noise or smell (and my girlfriend and I had to exit the room when the other was using). All in all I would not stay there again. "Excellent for a short stay"
Six of us booked for the rugby international so only needed two nights. Very clean rooms if a little small but staff very good. Continental breakfast of cold meats, cereals & pastries was excellent. Good transport links with the metro stop a few hundred metres away. "super clean, pleasant enviroment and frendly staff"
As a couple, we visited Rome in January and I accept that being low-season and not full they could do that, but on arrival I have asked to see the room allocated and if possible another with a king bed, besides the twin room I had booked and the hotel staff was more that happy to oblige and give us the choice of 2 different rooms. Room was quiet, comfortable on the second floor sandwiched between a very pleasant and quiet bar and the restaurant above. There is also a swimming pool with jacuzzi available from April. Close to facilities, short walk to a pharmacy, nice bars and a multitude of restaurants (fine and trattorias) for all budgets. Really delighted with the hotel, service and pleasantness of staff, as well as the location in the San Giovanni quarter. A particular thank you to Alessandro - one of the receptionists. My husband and I visit Rome for vacations and stayed in this beautiful hotel. It is located near a subway station in LA Re di Roma where you can find a lot of places to eat and do nice shopping. The hotel is very modern. The rooms are big and comfortable. I do not give them 5 stars because the room smell like cigarette. Every morning we ate wonderful breakfast and the best capuccino ever. The staff is friendly and always willing to help. I strongly recommend this place for a nice staying. For sure we'll be back. "Great Hotel. Recommended for all." We stayed 3 nights at the hotel, the service was excellent, there was a man at the desk all the time, they fulfilled all of our requests and they signed and kept all of the packages we ordered. 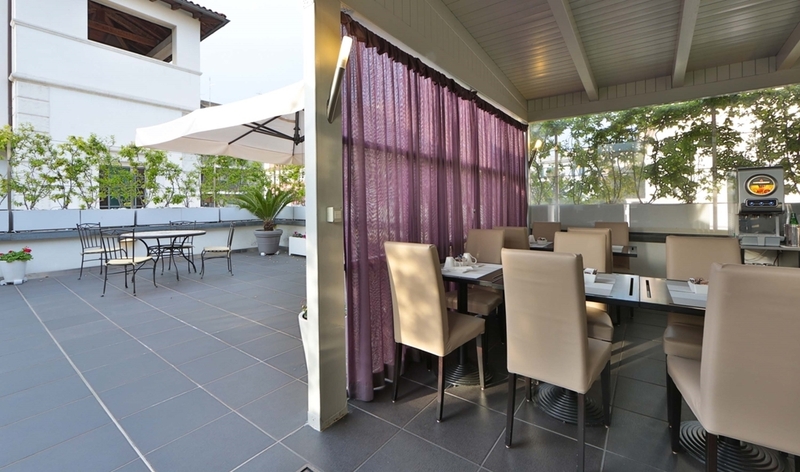 The food was excellent with great variety, The rooms are clean and comfortable. The location is great, just 5 minute from the metro station. Realy recommended for all, Ty. "Near the subway, clean, good breakfast"
It is near the subway, so reaching the historical center of Rome is easy and cheap. The price was fair and the rooms were clean. The breakfast was good. There was free wifi in the rooms and the reception. The pool could not be used, it was very dirty. Just enjoyed 3 nights at the CineMusic Hotel. Located around 10 minutes drive away from the Coliseum -(by bus). Just a few minutes walk to the nearest metro or bus stops. Hotel very clean with comfortable bedrooms. No restaurant, but the breakfast buffet was very good. All the staff were very friendly and extremely helpful. The location wasn't too great to start with . The only good thing is that is close to the metro. At the end we decided to take the taxi to every place we went to. Taxi fares from hotel were very expensive for some reason the meter started at : $8.60, I believe the front desk guy had a deal with the taxi drivers. Besides the fact this guy that is originally from the States wasn't too nice. I will definitely not recommend this hotel. Very disappointed !!! "Good Service and good breakfast"
We stayed at this hotel for three nights in October 2015. Its a small hotel outside of city but metro station is close by about 5min walk. Train station close by to/from the airport which will charge you 8Euro per person. Hotel sells ticket for this train. We walked to colosseum and it took us about 30min, of course we had our baby in stroller so thats why it took few minutes extra. Hotel is quite and close to police station so we felt safe at night to walk to hotel. Room, bedding and bathroom all were nice and clean. Breakfast was very good. It had different kinds bread, cakes, coffee, tea, juice, cold cut with veggies, cheese, jam,fresh fruits, scrambled egg, boiled egg and yogurts. Their staff Sysilia and Bansyl served breakfast with big smile. They fulfilled all requests from my two years old daughter which was very very nice of them. They asked if my daughter would like milk with chocolate. They kept feeling all the trays and lots of food. These staffs made us very welcome. Alexander was at the desk and he explained everything on our first day of arrival about the area, restaurants, tourist attractions and how to get there. With this positive experience and convenient to metro station, I would definitely go back and stay at this hotel. "Our minimoon (British needs easy access to tea)"
I booked a suite for our minimoon after we got married this weekend. The suite was fabulous including a round bed (groovy baby) which was surprisingly comfy and a jacuzzi bath. I now need one of these! Staff were great and couldn't do enough to help out, extending our checkout time and looking after our bags. Breakfast was brilliant and included local cheese and salami, as well as the usual cereals etc. The location was outside the city wall, meaning it was away from the usual tourists - nice and peaceful. We walked to the colloseo though, it was only about 20 ish minutes. It was however only 5 minutes from the metro Ri de Roma so if you dont want to walk there is another option. The hotel recommend several nearby restaurants which were excellent. I look forward to returning. "Relaxing, welcoming and nice food "
I came here with my girlfriend for a week and a half in august for our first holiday together in Rome. The hotel is at first quite strange- very quiet and had very few people staying. But it proved to be a really peaceful retreat from the hectic metropolis of Rome. The hotel staff were welcoming and really helpful; fast room service and great tourist information. They would book taxis for us as well which was good because ordering a taxi in Rome is extremely awkward. We had trouble getting though to an actual taxi company and even when we got through to one we weren't sure if and when our taxi would arrive. Booking through the hotel reception was far easier! The breakfast was amazing: fresh salami, Parmaham, crusty bread, pancetta, cheese, fresh juice and coffee every morning. I have seen reviews saying they do not replenish the food throughout the morning and this is just not true. They do top the food up but obviously sometimes they do still run out. Get there early if you can but it's not essential. The jacuzzi on the roof was awesome because it's peaceful and relaxing, there's nothing better than a cold jacuzzi after a stressful and boiling hot day walking around the city. The only downside is a lot of pigeons land by the pool to drink from it and there'd be a build up of feathers and stuff In the water. Would be nice if it was cleaned more often. I'd say the hotel was a nice place to stay, quote a distance away from the city centre but with re Di roma metro just round the corner and lots of great restaurants (all very affordable at that!) And ice cream shops. Great place to visit but probably not ideal for kids! "Great service, lovely room and sun terrace." Just returned from our long weekend in Rome, had an amazing time in the Eternal City. Not least of which was our stay in this fab hotel, from when we arrived and were greeted by Sebastiano at reception till we left in the taxi arranged by him to take us back to the airport, we experienced great friendly service, nothing was too much trouble and advice was given with a smile! Sebastiano is an asset to the hotel. The rooms were next door to each other (204 &205) which was a bonus in the evenings as we could sit out together on the sun terrace and enjoy the sunshine as it disappeared for the day. The room was clean, good quality bed and linens, fab bathroom with hot power shower, not that we needed the hot water particularly as it was around 30deg when we were there! Breakfast served upstairs in a beautiful room leading into a big terrace with shade and rattan furniture, a lovely way to start the day, food was plentiful and varied, only slight problem was the toaster only toasted one slice of bread at a time, took a while but easily rectified with a four slice toaster. Friendly member of staff, greeted us each morning and wished us a safe trip home on last day. Wifi, once connected worked fine, safe in our room and small fridge (mini bar chargeable but reasonable) were useful, especially as we were able to put our own soft drinks in the fridge! Also hot tub and sunbathing area on the upper floor terrace looked great we just didn't get the time to use them. Close to Re di Roma metro station, where we discovered some bars and restaurants and a great park in the middle of the roundabout to sit and enjoy a gelato. Would recommend this hotel highly and would definitely return. Just came back from our long weekend in Rome to celebrate our wedding anniversary. The hotel was excellent, and the staff so friendly and helpful nothing was too much trouble. 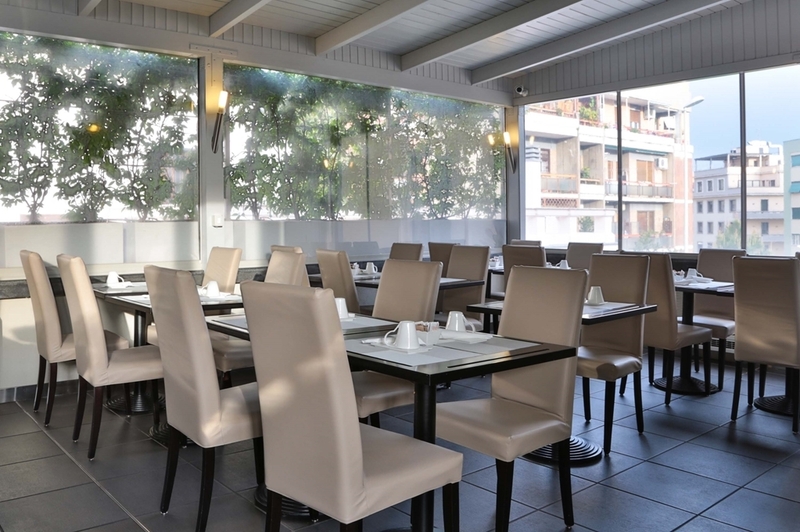 Great breakfast and facilities, the location is close to the metro. They upgraded us to the suite and gave us a bottle of champagne to celebrate. Would recommend this hotel if your staying in Rome.